One of the most useful aspects of Amazon's voice assistant Alexa, is all the special tricks its able to do - known as Alexa Skills, these include everything from making to-do lists to controlling your smart home. While there's already a pretty good variety of skills to enable on your Echo, Echo Plus, or Echo Dot, you may sometimes find yourself wishing you knew how to code so that you could create your own personalized skills. Well, now you can, with the UK launch of Alexa Blueprints. Following a US reveal earlier this year, Blueprints allow anyone to make their own skills without the need to be a coding genius, thanks to series of walkthrough templates that allow anyone to knock up a personalised Skill in just a few moments. Save it, send it to the cloud, and within a few minutes, it's ready to use with you Echo speaker. The new system is designed to be as accessible and user-friendly as possible, and as such, is based on a collection of templates that guide you through the process of creating a new Alexa skill. Using these templates, you can create skills as varied as voice-enabled games, educational tools, and stories to be read aloud by Alexa - and all you need to do is fill out a form with all the features you want your skill to have. A big part of this process is anticipating the type of questions people may ask Alexa, and the way it should respond - all you have to do is write your questions and answers in the form, and Amazon will take care of all the coding legwork. This means that you should be able to make your Alexa experience far more personal than previously possible; for example, if you are studying for an exam, you could use one of the quiz templates to make a personalized mock test to help you revise. Perhaps most useful, is the fact that it includes templates for babysitters and petsitters, letting you pre-determine responses to a series of likely questions, as well as doing similar for house guests. Expect to see Dots popping up in every AirBnb you visit going forward then. 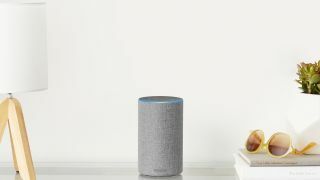 And, if you're feeling a bit cheeky, you can also create a "roast" for your mates, giving Alexa the ability to let rip with a litany of putdowns. There are just over 20 templates to play about with now. And while your creations are initially private to your local Echo devices, you can chose to share them with the wider world if you desire. Get started by visiting blueprints.amazon.co.uk.